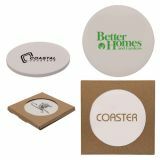 Custom coasters are fun and functional gifts that give your logo a wide angle display.Coasters not just spare your table tops from the unsightly water rings and spots but will also tell a lot about your business message. 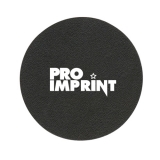 Logo coasters from ProImprint makes it all the more easier for you to lay out your logo neatly in front of your recipients and forge a great personal relationship with them. 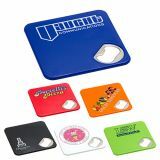 ProImprint has a range of personalized coasters in all possible price rates, colors and models. Shop and enjoy our fabulous cash discounts on bulk orders, rush order offers and FREE artwork assistance on every order! Your satisfaction is our objective! 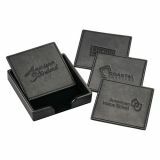 Promotional coasters will put your logo on a proud display in front of your recipients that too without leaving a dent on your budget. 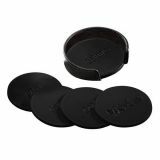 Everyone uses coasters either at home, office desks or at nightclubs. 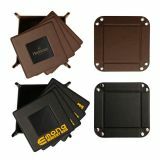 Coasters make veritable tableware items these days. 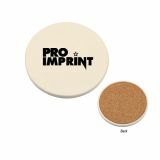 Imprint your logo and message on the generous imprint area to buy instant attention. 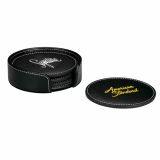 Logo imprinted coasters make perfect promotional gifts to promote restaurants, banquets, bars or catering service. 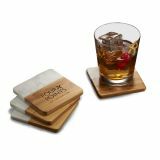 Accent the dining milieu with these trendy custom coasters that will convey your message to your guests with their every sip. 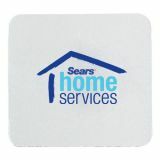 Hand out these custom coasters during tradeshows, awareness campaigns, food fests or as discount coupons during happy hour. 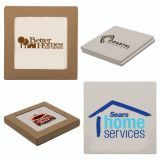 No matter how you wish to use it, these custom coasters will ensure a lasting place for your logo in their living space. 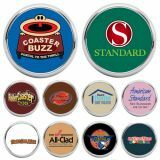 You can also consider coasters as party favors, milestone gifts or employee gifts and every time they see these on their dining tables or office desks. They will remember their achievements and milestones and feel really great. 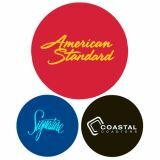 Be it at a Friday night cocktail party or on the office desks, your logo will get a lot of exposure on these functional items. 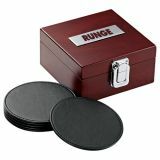 Custom coasters are available in a range of material choices including cork, leather, wood, metal and much more. 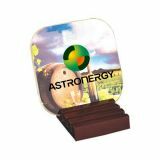 These elegant table ware items will easily get everyone toasting your marketing success. 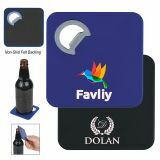 Versatility is the hall mark of promotional coasters, which makes it a perfect hand out for all types of events. 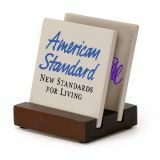 After all not many people can resist these practical gifts that they use almost daily! 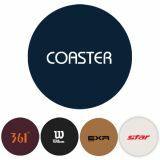 Budget friendly and popular, coasters make simple yet smart gift ideas with an irresistible personal touch. 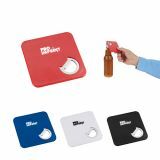 Imprint your logo in full color and see how the world will go crazy over these grab on the go gifts your guests can hold onto for all their beverages to come!Every time they throw a cocktail party or a tea party, your logo will be put on a display and everyone will appreciate your business for being considerate towards their leisure needs. 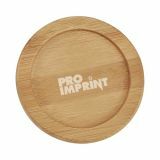 ProImprint is a massive repository of logo coasters that will fit the bills of all types of promotional events. Call us at 844-776-4677 or email us at info@proimprint.com for details, queries or orders.